With iPad Parental Controls, it’s easy to filter content in order to control what your children browse through while on the Internet. Thanks to Parental Controls, parents can lock out AirDrop, iBooks, iTunes, CarPlay, Camera, Safari, Podcasts, Siri, FaceTime, and App Stores, as well as the ability to make changes in app settings or accounts. It’s a great way to keep kids away from anything that is not appropriate for their age. Children today use smartphones and other mobile devices to play games, read e-books, or simply browse the Web. Thanks to iPad Parental Controls, you don’t have to worry about exposing your kids to inadequate content. The steps to turning on iPad Parental Controls are quite simple. First, go to “Settings” and then “General”. You will see a menu from which you much choose “Restrictions”. Tap “Restrictions” and “Enable Restrictions”. Create a passcode for this feature and remember it. Any changes in the Restrictions settings will require that passcode in the future, as well as when you want to disable the option. If you forget the passcode, the device must be erased and set up as a new device in order to remove the Restrictions passcode. 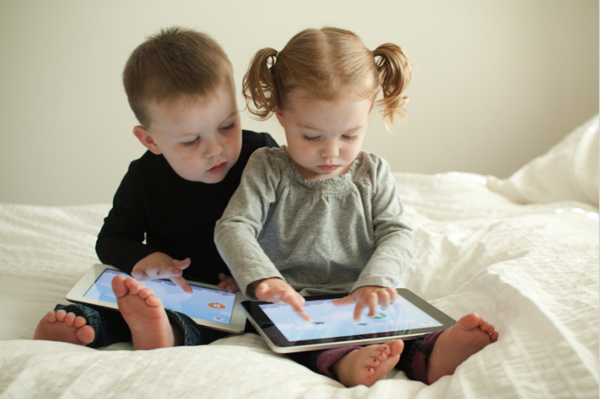 What Can Be restricted with iPad Parental Controls? To see what you can limit to keep your child safe, go to “Settings” > “General” > “Restrictions”. You will see a list of apps and features from which to choose from. Parents can opt to disable access to apps such as AirDrop, iBooks, iTunes, CarPlay, Camera, Safari, Podcasts, Siri, FaceTime, and Apple Music Connect, or in-app Purchases. If you are worried about losing apps or accounts, you can also restrict access to installing or deleting apps. As for the games kids love so much, adults can disable multiplayer games in Game Center or disable adding Game Center friends. But we know that children love watching videos, especially when they’re bored, or there’s no one around to play with. Because of this, Apple allows adults to still keep iTunes available while restricting access to movies, TV series, and music that is not age-appropriate. Parents can do that by going to “Allowed Content” and set the rating levels based on MPAA ratings and US content ratings. However, only explicit music and podcasts are disabled. If you are looking for a wider range than that, you might want to keep the iPad away from your child altogether. The feature also restricts content based on its type. We’re talking ratings based on the user location, music, news, movies, TV shows, books, and certain websites. Any Apple user with an iPad running on iOS 7 or later can set up the iPad Parental Controls for web content. For example, when choosing to restrict movies, you have the option of disabling some or all of the following movies rated: G, PG, PG-13, R, and NC-17. If running on iOS 5 or earlier, there is also the option of disabling access to YouTube. And there’s more. Because privacy settings are such a sensitive aspect, parents can restrict changes to Contacts, Calendars, Photos, Advertising, Location Services, Reminders, “Share My Location”, microphone, Twitter, Facebook, Bluetooth sharing, Sina Weibo, and Tencent Weibo. However, your iPad might get lost, and the only way to find it is to leave “Find My iPad” and “Location Services” enabled on your device. In addition to restricting privacy settings, adults can also limit changes to settings and account. Any changes made to Mail, iCloud, Contacts, Calendars, Vimeo, Facebook, Flickr, iMessage, FaceTime, App Store, and Twitter, can be prevented. Unfortunately, Apple has yet to find a solution to restrict children’s access to email or iMessages, for example, but at least they can’t make changes to settings or the account. Parents can also keep their cellular data from “draining” by preventing changes made to cellular data settings. iPad Parental Controls is a useful tool for any parent worried about exposing their children to harmful content. Some, however, might argue that these devices shouldn’t be considered a toy in the first place. Yet we are living in the digital age, and it is hard to keep kids away from tablets, smartphones, laptops, and PCs. How do you protect your child from inappropriate content on the Internet?